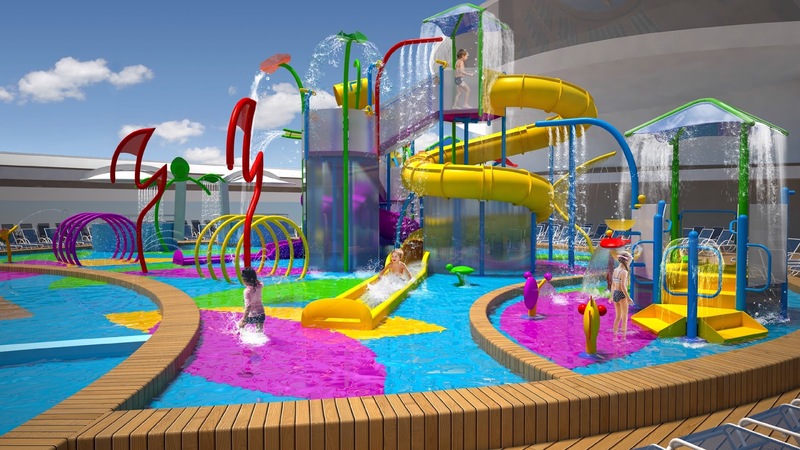 So much enthusiasm was generated when it was revealed that Liberty of the Seas was going to be refitted with water slides during its dry dock, you just knew Royal Caribbean would try to add this feature to their other ships. 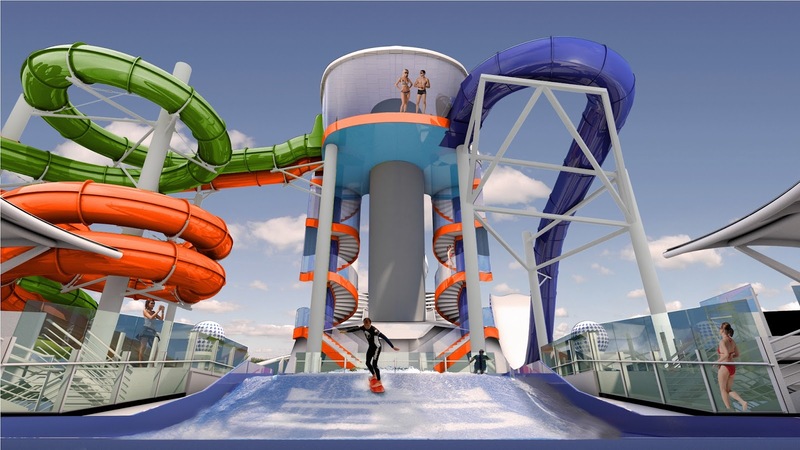 Harmony of the Seas was then built with the two racing water slides, Cyclone and Typhoon, and now they will be added to the Adventure of the Seas! Guests will speedily snake guests above the ship's Flowrider surf simulator, another new addition. 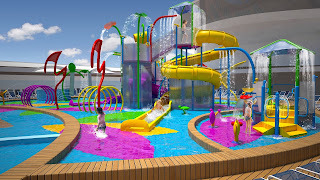 Little cruisers will get the interactive Splashaway Bay, a wet and wild area with sea creature water cannons, waterslides of its own and a drench bucket looming above a jungle gym complete with several platforms for children to explore! I love the dining experience on Royal Caribbean cruise ships so I’m always excited when new options are added. Sushi and Japanese food lovers can look forward to the addition of the popular Izumi Asian restaurant. And my favorite restaurant, Chops Grille, is adding dry-aged steaks to the menu. Our local steakhouse offers dry-aged steaks and they’re the most tender and flavorful way to order a piece of beef! Adventureof the Seas is a Voyager-class cruise ship and is home-ported in San Juan, Puerto Rico.